VAC-TEC LLC is among the most recognized dry well repair services in the Carnation, WA area. If your dry well system is having problems with drainage and you want to get it fixed quickly, call us at once. We have offered dry well repair service in Carnation for many homes and will provide the most professional dry well repair in the Carnation area. A dry well is a small excavated pit filled with either gravel or stone that plays a vital role in the temporary storage of rainwater until it eventually soaks into the ground soil. 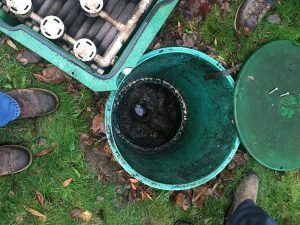 Over time items in the wastewater can easily clog openings in the well walls. We understand the inconvenience you face when you have dry well problems. 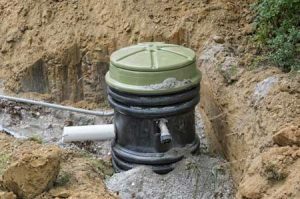 Dry wells are commonly used for storm and runoff water on commercial and residential properties. When a dry well receives stormwater its purpose is to allow the waters to percolate into the subsurface soils well above the regional aquifer. When you have a dry well system installed, it requires an understanding of the drainage in and around the property. Our trained staff will provide an assessment of the area around your Carnation property and determine the right dry well and its location. Dry wells do develop problems. After all, they are collecting water that is full of debris, dirt, soap, and scum that will clog the openings, interfering with the drainage process. Our team fixing dry well problems around Carnation is supervised by experts with hands-on experience. After they have taken care of the problems you are having they will offer a service agreement which will provide an annual inspection of your dry well and help alleviate any upcoming issues with your dry well. To fix dry well problems around Carnation, call the dry well repair team of VAC-TEC LLC at (206) 339-0039.